Criminal jury trial outcomes are impossible to predict with any certainty. Anyone who makes such a prognostication is probably either over-promising an outcome or inexperienced in trial work. Completely unpredictable circumstances, like a single holdout juror, can completely change the outcome. Not all these unexpected circumstances are grounds for a criminal appeal. In fact, most of them are not. However, there are a number of trial and pretrial errors which could result in a successful appeal. Technically, new evidence is not grounds for an appeal. Higher courts only review the trial record for errors or omissions. However, new evidence could serve as the basis for a successful motion for new trial. In such matters, the moving party usually has the burden of proof to show that the evidence could very possibly change the outcome and the evidence was unavailable at trial. Judges are people too, and they are not immune to pretrial hysteria. Sometimes, they hand down sentences which ignore mitigating factors or are wholly unjustified by the facts. The sentence may be excessive in other cases as well. For example, the judge may harbor a resentment for the defendant or someone associated with the defendant, like a friend or family member. In these cases, Florida appellate courts hardly ever reverse the verdict. However, they often send the case back to the trial court with instructions for resentencing. Arrest: Police officers must respect individual rights every step of the way. Furthermore, any search or arrest must be based on probable cause. That normally includes a legally-valid warrant. Pretrial: Under federal law, prosecutors have a duty to hand over any possibly exonerating evidence to the defendant, whether defense counsel asks for it or not. Later, during jury selection, the judge has a responsibility to eliminate any possibly biased jurors yet still keep the jury as diverse as possible. Trial: Incorrect rulings on objections may result in the jury considering improper things during their deliberations. Not all such errors mean new trials. The defendant is entitled to a fair trial, but not a perfect one. Generally, appellate counsel must convince the court that the official misconduct materially affected the outcome of the case. The Sixth Amendment gives all defendants the right to effective representation in court. Lawyers are people too, so they sometimes make mistakes. Many lawyers are also peculiar individuals, so their strategic decisions may not make much sense. However, if their mistakes or unorthodox style affects the outcome of the case, an appeal may be in order. Like other appeals, these cases are difficult to win. Many Florida courts employe the “glass mirror” test in these cases. If the court were to hold a mirror up to a lawyer’s nose, and the glass fogs up, the defendant had effective assistance of counsel. 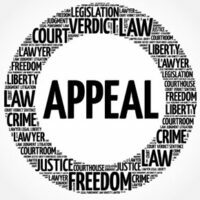 If you think you may have grounds for an appeal, contact an attorney straightaway. Important time deadlines apply in these cases, and a later filing could mean a premature end to a valid claim. There may be a way to reverse the outcome of a criminal trial. For a free consultation with an experienced criminal defense attorney in Tampa, contact The Matassini Law Firm, P.A. We routinely handle matters in Hillsborough County and nearby jurisdictions.